Lace-em up and come join the indoor fun! Looking for a fun way to spend the afternoon while getting in a decent work out? Look no further than Waldorf Skating Center in Waldorf. This club welcomes kids, too, so you can feel good about bringing the whole family. Waldorf Skating Center’s patrons can find places to park in the area. Take your family out for an afternoon of skating and fun at Waldorf Skating Center. Roller-skating is one way for kids to get some exercise and it’s something the whole family can do. Waldorf Roller Skating Center Roller and Inline Skating Rink offers open skating, where the rink is open to the public, as well as private access to the skating rink for events such as a birthday party. 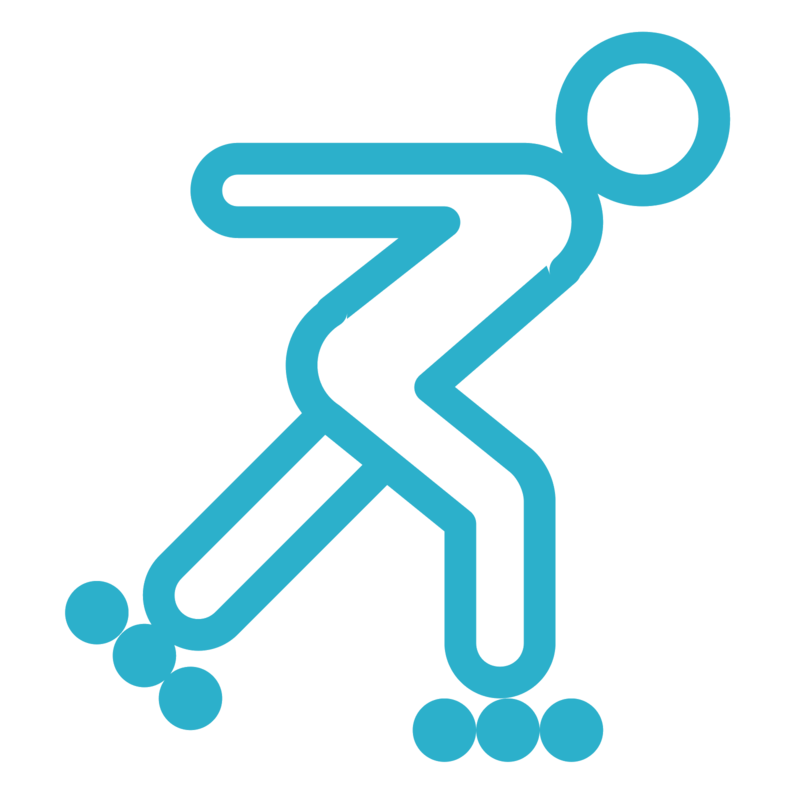 The rink offers rentals for regular roller skates and you are free to bring your own regular or inline skates. For beginners, skating classes are available for kids and adults of all ages. We have a full arcade with plenty of games to enjoy! Plenty of lockers are available for your personal items! Waldorf Skating Center is the perfect place for an easy, fun-filled, and exciting party. With rollerskating, arcade games, and refreshments the Waldorf Skating Center offers a unique and exciting place for your next event. The Birthday Party Package is for up to 10 (the birthday child, plus 9 guests). You may bring more than 10. Each additional guest will be charged $15.00. We ask that you supply us with a list of ALL the children expected to attend the birthday party. Waldorf Skating Rink will not supply a BIRTHDAY CAKE. Please bring one with you (as well as any candles, balloons and utensils needed to cut the cake). ABSOLUTELY NO OUTSIDE FOOD OR DRINK IS ALLOWED IN THE RINK (except the Birthday Cake). Parents attending the party, are not skating will not be charged to enter. However, if they decide to skate, they will need to pay the cashier at the entrance for ADMISSION and/or SKATE RENTAL. Birthday Parties must be scheduled in advance (we recommend 2-4 weeks). A minimum deposit of $175.00 is required to schedule a party. If more than ten children show up for the party and are skating you will be responsible to pay the difference prior to them skating. Payments can be made by CASH, VISA or MASTERCARD. We will be in touch with you as soon as possible to confirm your event date. Payments are non refundable. You can reschedule in the event of inclement weather or illness. Remaining balance, and additional add-on fees for services and products are due on the date of the party. Extra 1- topping pizzas cost $10 and soda pitchers are $4.